Monmouth County, N.J. Freeholder Deputy Director Lillian G. Burry protests the diversion of 911 fees. Photo courtesy of Monmouth County, N.J. Since 2009, about $1 billion in 911 funding intended to bolster counties’ emergency response has been diverted by states into non-911 programs, according to Federal Communications Commission (FCC) reports. Some say the amount might even be higher because some states have opted not to report that information to the FCC. In Niagara County, N.Y., the state collected more than $10.2 million between 2013 to 2017 from county residents but only returned $2.2 million to the county in those five years. Co-authors of the bill, Reps. Anna Eshoo (D-Calif.) and Leonard Lance (R-N.J.), vice chair of the Communications and Technology Subcommittee, have also seen 911 fee diversion in their home states. In Lance’s New Jersey, the legislative action comes after Monmouth County officials were trying to find out why they weren’t receiving their share of 911 fees. They estimate county residents have paid $5 million over the past 13 years; but only $1.14 million of that has made its way to the county to help upgrade the emergency response system and communications center. And it’s been eight years since they’ve seen any fees at all. In June, Monmouth County officials held a press conference after state lawmakers talked about raising the fee by 10 percent to 99 cents a month for landlines and cell phone bills. 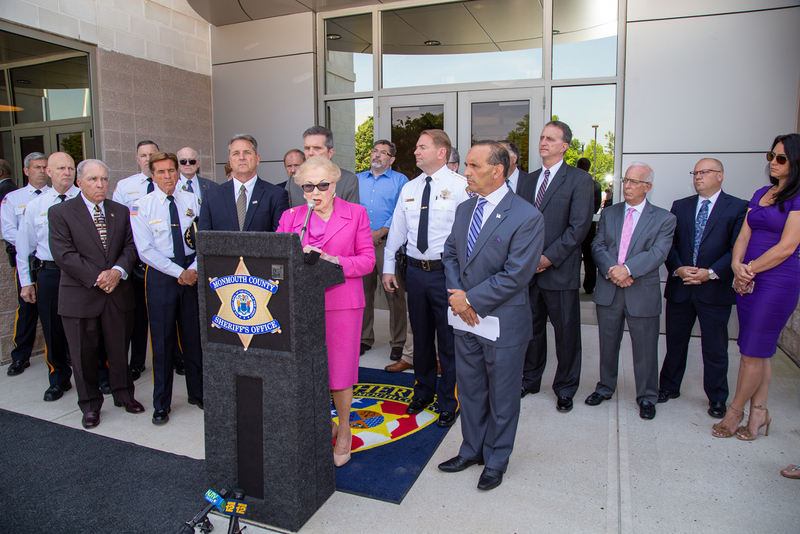 “We oppose any legislation that would call for the increase of 911 fees as the County has yet to rightfully receive any funding collected through the trust fund since 2010,” Freeholder Deputy Director Lillian G. Burry said. The problem isn’t just in New York and New Jersey. The FCC has flagged a number of states for diverting 911 fees — including Rhode Island, New Mexico, Illinois and West Virginia.